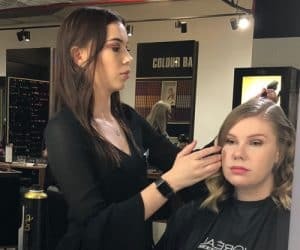 Recently, I was invited to experience The Style Bar at Elysium Hair Brisbane. I got the chance to have my hair done, speak with a stylist as well as the owner of the salon. Elysium Hair is Located on Adelaide Street, Brisbane. They are open Tuesday – Friday until 8pm. The reason for this makes a lot of sense. 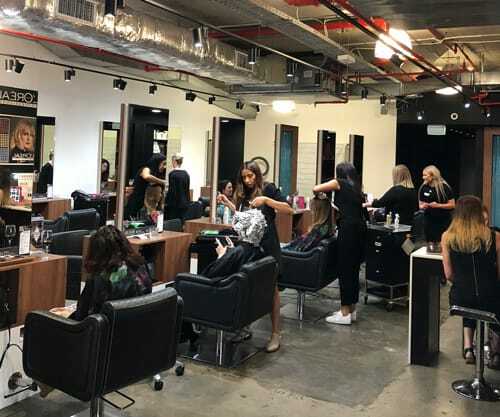 Due to their location, Elysium is perfect for those working in a corporate setting who are short on time, but require their hair to look great. They stay open late so that those who wouldn’t be able to get their hair done any other time, are able to do so after work. Upon entering the salon, I was greeted by a couple of staff members. I was shown to the style bar and offered refreshments, then had a chat with the stylist. Because it was my first visit, I was given a tour of the place and I have to say for a city salon its massive. As you first walk in there is the reception and a seating area with loads of style images. As you walk through the style bar is on the right and to the left is the area where you get your hair done. At the back is the basin room, a dark and calm environment for you to enjoy the wash and head massage part of your appointment. Obviously, women go to hair salons to get their hair styled for events, but this is designed for the corporate or time poor woman. The appointment is around 20 minutes long at a cost of $49.95 to make things easy there are 4 (extremely popular) styles to choose from. Hollywood Waves, Classic Straight, Party Curls and the Wavy Lob. Using GHD products and tools, the stylist is able to create a style perfect for your needs. There are also add ons such as braiding, glitter roots, hair washing etc. I personally went straight for the Hollywood Wave. With shoulder length hair, this is an easy glam look that I love. After my hair was style to perfection by the lovely Jamii, I was able to speak with the owner Kate again. She and her husband have put so much time and effort into making Elysium one of the best salons around. They’ve managed to win Australian Salon of the Year 4 times, as well as many other awards. They use the best products, tools and methods. The staff they hire are extremely good at what they do, even the apprentices were well beyond what I have seen anywhere else. Yes, they cater to a lot of corporate women, but they are welcoming of anyone who wants an amazing cut, colour, blow out… the list continues. 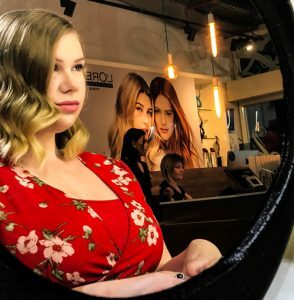 I had such a great time and cannot wait to go back for a new style cut! 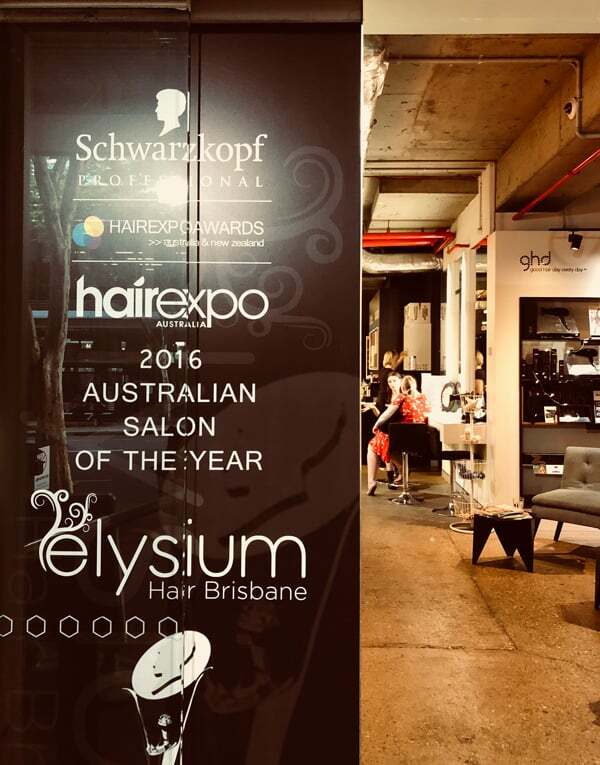 Make sure you check out their website www.elysiumhairbrisbane.com.au and also click the links to follow their social accounts. Thank you Elysium for having me, I had a great night and was obsessed with my hair style.